Our team of licensed plumbers are highly-trained in both drain cleaning and plumbing repairs among other things. 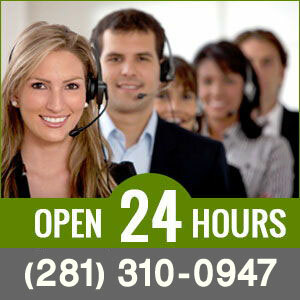 We offer extensive plumbing services and will handle just about any plumbing problem you may need. 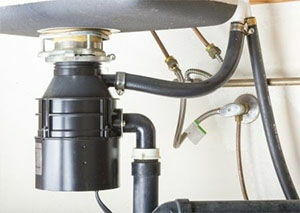 We offer complete plumbing repair and replacement of sewer drains, disposals, kitchen sinks, toilets, bathtubs and showers, water heaters, main lines, pipes and other plumbing systems. To make sure that the water lines get cleared properly, drain cleaning is a crucial part of maintaining your plumbing system. Using sewer machines to bore through the problems, our team is able to quickly and efficiently clear your pipes and drains so that everything runs smoothly and will help prevent most future clogging issues. No matter if the clogged drain is in your kitchen sink, bathroom, toilet, shower, disposal or sewer line, one of our trained plumbing experts can fix it efficiently and effectively. Contact us for emergency drain cleaning if your drain or garbage disposal is clogged, or for normal drain cleaning services for slow running drains. Clogged pipes are usually caused by a number of things depending on the location, in the kitchen, grease, fats, and other food particles may clog the drains, in the bathrooms and toilets the accumulation of, soap, hair and tissue papers tend to cause blockages, which in turn becomes a very uncomfortable and embarrassing situation in your homes and offices. You may try to use a plunger to solve your problem, but this is only a temporary fix to a serious buildup issue. Over time, items such as toilet paper, hair or sediment may build up in the drains over the course of time. No matter the issue, our team takes advantage of the latest plumbing technologies to maintain or even improve your plumbing system to get it back to tip-top shape. No matter the problem, our technicians are trained to handle it, so give us a call today to relieve you of the stress that a clogged drain can cause.